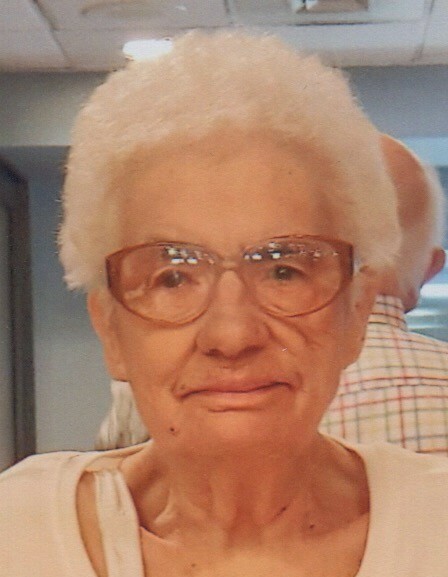 Janet L. Petcoff, age 83, of Hammond, entered into eternal life on Friday, March 29, 2019. She is survived by her son, Tom (Marianne) Graczyk; one grandson, Michael Graczyk; one sister, Nancy Kubiszewski; numerous nieces, nephews, great and great-great nieces nephews and dear friends. Preceded in death by her husband of 42 years, Nick Petcoff; parents, Leland (Louise) Wood; two sisters: Bonnie Aguilera and Debbie Panayotovich. Funeral Service will be held on Saturday, April 6, 2019 at 10:00 a.m. at Bocken Funeral Home, 7042 Kennedy Avenue, Hammond (Hessville) with Father Charles Mosley officiating. Burial will follow at Chapel Lawn Cemetery in Schererville. Friends are invited to meet with the family for a time of visitation on Friday, April 5th from 4:00 p.m. until 8:00 p.m.
Janet was born on September 13, 1935 in East Chicago, IN and was a lifetime resident of the region. She was retired from the D.E.A. in Chicago as a secretary. She enjoyed watching the NFL and was a huge Chicago Bears fan. Janet also enjoyed going to the Theatre at the Center, crocheting, gambling and entertaining. She will be remembered for her tasty meals and desserts. Janet was a loving wife, mother, grandmother, sister and friend.